Sauropods were a group of large plant-eaters with bulky bodies, small heads and very long necks and tails (kind of like a giraffe!). 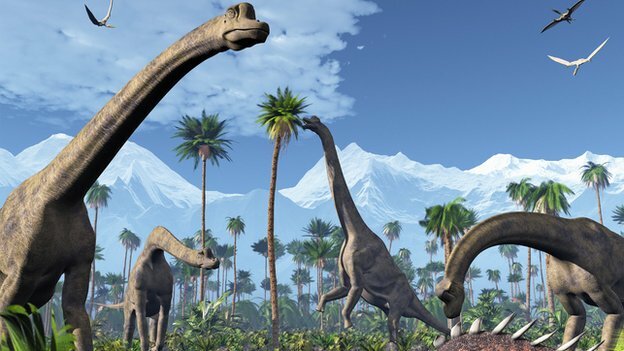 The biggest and least intelligent dinosaurs belonged to the sauropod family. Keep reading below for more dinosaur fun facts about the Sauropods! Standing on the ground, the Sauroposeidon could have peered into the six-floor window of a building! Sauropods walked the earth for a long time, for as many as 140 million years! We hope you enjoyed these dinosaur fun facts, check back soon for part 3!! !